All of our tutors at TMA are highly experienced, professional and tailor their lessons to each individual pupil. All of our teachers are fully DBS checked in accordance with government guidelines. If you are interested in joining our team Please Contact Simon. 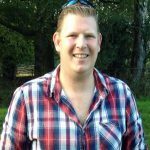 Simon Markland is a highly experienced tutor in piano, guitar (electric and acoustic) and singing. He began keyboard lessons at the age of 5, completing his grades by the age of 12. Simon then moved onto learning the piano, working his way up the practical and theory grades until he was 16. This experience made Simon realise that his passion is for music. Wishing to learn a new instrument, Simon picked up the guitar at 14 and progressed quickly over the following few years. He regularly performs within groups and as a solo artist performing well known favourites and compositions of his own which are always greatly received and highly praised. Over the last 12 years he has taught private music lessons to children and adults ensuring they achieve their grade ambitions or just the ability to enjoy playing their instruments. As a qualified teacher Simon is highly competent in planning creative, individual and correctly levelled lessons for any pupil. Originally from Lancashire, Simon undertook a BA (hons) in Music Practice at the University of Central Lancashire and completed his P.G.C.E at Oxford Brookes university. He has since been teaching and providing support in primary schools alongside private musical tuition. In September 2015 Simon realised his dream of opening a full time music academy in the Thame area of Oxfordshire. He aims to bring professional and creative music lessons to children and adults alike alongside getting involved with local community projects and performances. Simon will also be going into local schools to inspire children to get involved. 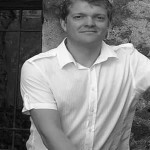 Luke Chapman is experienced in teaching both children and adults of any age; Piano, Saxophone, Clarinet and singing. He began music lessons from the age of 8 completing all the required grades. At college Luke studied and completed a BTEC in music, something which has given him the bedrock for his musical talents. Luke has performed in touring shows such as West Side Story, Sweeney Todd musical, Cabaret musical and various pantomimes. He also appeared in the ensemble in the film Les Miserables! Luke recently toured around the world performing with Westlife and Take That. 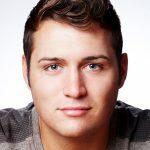 Currently the Musical theatre Teacher/singing teacher at the Pauline Quirke Academy in Oxford Luke also enjoys teaching privately and can provide creative lessons tailored for each individual. 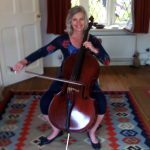 Rosalind Cox is a freelance ‘cellist’ and ‘cello’ teacher. She began her career at the Royal College of Music where she studied with Amaryllis Fleming. She achieved a distinction for her performing diploma and obtained a music degree. Since then she has been a member of the Elysian Piano Trio and the Clifton String Quartet and was principal cello of the Western Sinfonia for ten years. Rosalind is also an enthusiastic teacher of the ‘cello and enjoys teaching pupils of all ages from beginner to diploma standard. She has previously been a teacher at Guildford High School, Royal Grammar School, St Catherine’s Bramley, Surrey University and Kings College and Wellington School in Somerset. Gareth started drumming at age 8 on his fathers kit and soon found he had a passion for music and rhythm. This resulted in him playing in numerous school bands & theatre productions. Upon leaving school and through many casual jobs, his constant love of music and drumming continued. Because of this, at 23, he decided to make it his full time profession. Simply Red, Feeder, Lisa Stansfield, Republica, Aztec Camera, Vex Red, Ross Robinson (producer Slipknot, Korn) Mark Waterman ( producer Elastica, Swervedriver), The Family Cat, Jack Adapter & Last Man Standing (amongst others) along with many other casual gigs with a number of top musicians. More recently Gareth has been pursuing his other love of sport setting up a personal training business with his wife as well as becoming a cycling coach. Gareth can provide outstanding, creative and professional drum tuition from beginner to expert. Karl is a music teacher, lecturer, touring and recording artist, composer and songwriter. 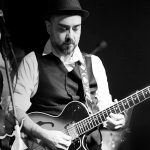 Born in Italy and relocated to the UK after a period of world travel, Karl has spent years playing, touring and recording with a wide range of bands. Inspired by the sixties and seventies rock music Karl started playing in his early teens but soon expanded his musical horizons to include a wide variety of styles. In the early days it would not have been unusual to perform in a loud rock band at night, study musicology and music theory at the University of Bologna (DAMS course – Music Arts & Drama) in the morning and hone traditional rock, blues, country and folk guitar techniques in the afternoon. These days, he shares his schedule between solo projects, European and American tours with several rock and jazz bands, festivals and club appearances (including Glastonbury, Cheltenham Jazz Festival, Bestival / Isle of Wight etc. ) and session work for many other bands and musicians. For his own solo Album in 2011, he received rave reviews from, amongst others, BBC Radio 2 and Total Guitar magazine. Karl is extremely passionate about music and guitars. As a teacher he covers a wide range of subjects including Rock, Hard-Rock, Pop, Folk, Country & Bluegrass, Traditional & Contemporary Blues, Traditional and “Gypsy” Jazz and more. He also teaches bass guitar, mandolin, ukulele, improvisation, composition & songwriting and music technology. Andrew Hansford, born in Berkshire, UK, holds UK music-degrees from Surrey ((UniS), Guildford), Bristol and Cambridge (St Catharine’s College) universities, and with the Open University (OU) (BA (Hons) in Humanities with Music with First-Class Honours and a Postgraduate Certificate in Humanities with Music (PGCert (OU) with Distinction) in addition to an MMus(Perf) from Bath Spa University (BSU), UK with Distinction in which Andrew specialised in Performance as a piano accompanist, as well as the ARCM, ARCO, LRSM, LGSM, LTCL, FLCM music-diplomas (awarded mostly in piano accompaniment/performance) and the FRSA. A performing classical pianist, specialising in piano accompaniment relatively early on whilst at school, he is also an organist, a harpsichordist (focusing mainly on accompaniment in both these instruments as well) and a choral singer (tenor). 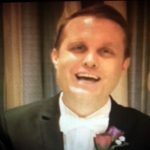 Andrew is delighted to have been appointed as a part-time Visiting Music Tutor at the Thame Music Academy (TMA), Oxfordshire, UK and very much looks forward to collaborating with learners and staff within the TMA. Diploma in Double Bass at the Conservatory of Music “G. Frescobaldi” of Ferrara, Italy. 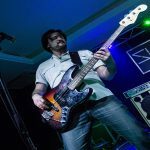 Francesco is an Italian Bass Guitar and Double Bass musician who developed his career playing, arranging, teaching and recording music in Italy and moved to UK in 2015. Inspired by Rock music, he started studying Bass Guitar when he was 17 in a private school, and at the same time he began to play in several local rock bands. Soon he expanded his musical horizons to include different styles like Funk, Jazz, Dance and Blues and he played several gigs with many bands of different kind of music: Rock, Funk, R&B, Blues, Dance, Jazz, Latin, Folk and Classic Music. Since he started playing music Francesco has recorded six new albums with three different Rock Bands and a Dancing Orchestra. In 2005 he decided to follow his dream of becoming a professional musician and he began his career as Double Bassist at the Conservatory of Music “G. Frescobaldi” of Ferrara in 2005 where he studied Classical Music, Theory and Solfege, Harmony and Music History. After the Diploma he played with several local Symphony Orchestras as freelance. Francesco has been a teacher of Bass Guitar since 2003 and in 2013 he started to teach Double Bass as well, in two private schools of music in Italy and he is now happy to transfer his experience providing Bass Guitar and Double Bass tuition to children and adults from beginner to expert level or diploma standard. Ian is a versatile and multi-faceted musician and teacher with over 30 years’ experience working with children young people and adults. He studied, worked and taught in London for many years and moved to Oxfordshire 15 years ago. He is a Woodwind teacher of Flute to a high level and Clarinet and Saxophone to lower levels. He has performed in Orchestras in the UK and Spain. His first love is Chamber Music and engaging with musicians in smaller Groups or Ensembles. He has recorded 2 CDs with his Classical Guitar partner in Spain. Tom Mear is an experienced musician and producer who plays drums, piano and bass guitar. He started to learn the drums at age 12. Since then he has picked up his other musical skills such as playing piano and bass guitar, producing, songwriting and music theory. 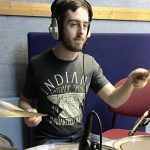 He is a very keen performer and has played in many bands over the years, mainly as the drummer, playing cover and originals in various band and playing in various different parts of the country. And he is a keen producer who has a great understanding of music software such as Logic and Pro Tools, as well as having a lot of recording and engineering experience. During his schools years, he had joined the school swing band as the drummer, performed in various musical productions and ran the school’s drum club; where he taught many younger students how to play the drums. He then studied music for 4 years in college. 2 years of music performance and 2 years of music technology. During that time he has achieved a student of the year award, gigged with bands and has become a producer. He has produced various work of people since learning his skills, including songs, voice overs and sound effects. He achieved very high marks in both courses (performance: Distinction* Distinction, Distinctio. Technology: Distinction* Distinction*, Distinction*) both are diplomas. He will also be taking his drum grade 8 exam soon. He is now the drummer in a progressive rock band called ‘The Mighty Bard’ who has appeared in ‘Prog Magazine’ and performed around the country. Tom is someone who wants to gain as much musical experience as possible, whether it be performing, teaching or producing. His musical styles include Rock, Jazz, Pop, Blues and Funk. I started playing cornet in the junior band at the City of Oxford Silver Band in the late 1960’s, then went on to have a very successful time with championship section bands including Halls Oxford Concert Brass and Hanwell, which included several appearances at the National Finals at the Royal Albert Hall. I spent 25 years in the Territorial Army playing for the Royal Green Jackets Waterloo Band and Bugles. During my time with the band, I progressed to Colour Sargent, running the brass quintet and deputising for the musical director when needed. I played principal euphonium and regularly performed solos with the band at our many formal concerts. I also took part in many marching displays including sounding the retreat at Horse Guards parade and have performed at many prestigious venues around the world. I am the Musical Director of a local band, Jubilee brass band, and as well as conducting the band at some very successful concerts I have also, following winning and becoming the 4th section area champions, achieved promotion with them from the fourth to the third section. 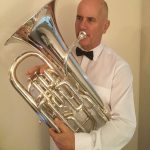 I have taught Brass for 15 years and have entered many children into the Associated Board of the Royal School of Music examinations with a 100% pass rate. I have a very calm approach to teaching and the pupils I have taught in the past have responded well to me. I am a highly motivated and hardworking individual who will always strive to get the best out of the people I work with. Rupert has been a full time musician and guitar tutor for the past 8 years. Playing since he was 12 years old, he mixes his time between touring with covers and originals bands and teaching the guitar to people of all ages. 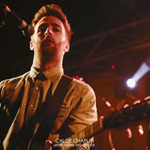 From Oxfordshire, he has toured all over the UK to thousands of people at corporate events, holiday parks and some of the countries most respected venues and festivals. Rupert’s aim is to share the enjoyment of playing the guitar to other people and to help them progress in every aspect of their guitar journey, whether you’re a complete beginner, want to take grades or just want to learn for fun, his lessons are individually tailored to suit you. 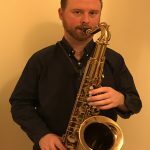 Michael is a versatile and experienced musician, who has been teaching saxophone, clarinet, music theory and improvisation, for saxophone as well as other instruments, since 2006. He has maintained a regular performing schedule since then, which has included playing at Glastonbury, Bestival, major venues in London, touring France with the Glen Miller Memorial Orchestra and many other appearances in the UK and beyond. Michael’s first degree was in Jazz Studies which he undertook at Leeds College of Music. This also involved studying Indian classical music, playing in a South African townships jazz band and performing in big bands, alongside regularly working in smaller jazz groups. Since then, Michael has continued to play in jazz groups in addition to playing in ska bands, soul bands, funk bands, orchestras for stage musicals, giving classical recitals, directing big bands, as well as writing arrangements for them. Michael’s students have presented him with an equally varied repertoire, with some of them learning the sax solos from their favourite pop records, others studying jazz, and many taking graded exams. 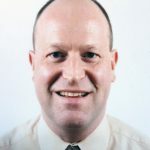 Michael has experience of all the grades in the jazz and the classical syllabus of both Trinity and ABRSM exam boards, with students having successfully passed the highest grade in each. He directs a soul band at one of the schools where he teaches and also leads and writes the music for a wind band at another. Michael holds a Master’s Degree in Performance from Birmingham Conservatoire and has either studied with or attended masterclasses by, many of England and America’s top saxophone artists. He has amassed a wealth of information about technique, harmony, jazz history, vintage saxophones and more, which he enjoys sharing with students of all ages and abilities. 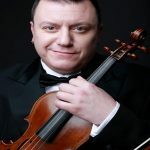 Marco is an Italian classical violinist with more than 25 years of international experience as a violinist and as a soloist, he has been teaching and collaborating with many orchestras across Europe. He graduated in Violin and Viola at the Italian Conservatory of Music of Cagliari and Milan. He is also the founder of The Geminiani Project, based in London, with which he has been invited to perform in Italy, Germany, Sweden, and Denmark. Passionate about his work, he always aims to have high standards and finds the best approach for each and every student. 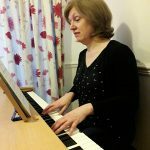 Gill is an experienced piano teacher who has provided lessons locally in the Thame area for the past 12 years. Gill began learning the piano at the age of seven and after achieving Grade 8 piano, she completed a B.A in Music and Education at the University of York. She then went on to gain a P.G.C.E qualification. Gill currently works in a secondary school and is experienced in understanding students’ needs and supporting students to reach their potential. Gill is flexible in her teaching approach and provides engaging lessons to prepare for grades and enjoyment.